The Bamboo Wars continue with the latest assault coming on Saturday. Yes, we have been 'deered' by the dreaded Deer napper. 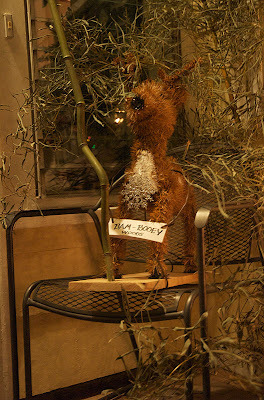 A new deer has appeared, named Bam-Booey who was covered with bamboo. Retaliation cannot be far behind. . . updates will be posted.